It's been a long time in the making but we're finally going to get our first glimpse of Subaru's version of the Toyota FT-86 RWD Coupe, which is a joint project from the two companies, at the upcoming Geneva Salon in March. 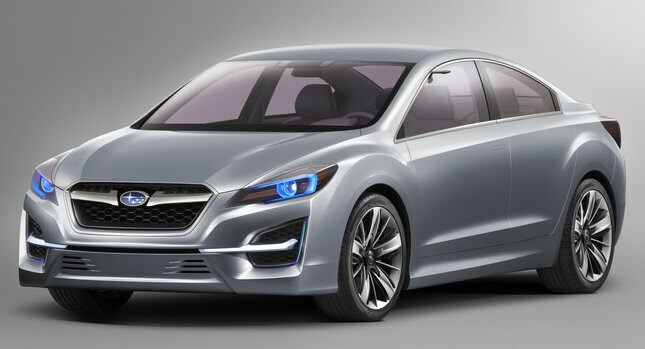 The somewhat blandly named “Subaru Rear Wheel Drive Sports Car Technology Concept” will share the spotlight with the Impreza Concept (pictured above) and the Trezio mini MPV, both of which will receive their European premiere at the Swiss motorshow. Despite rumors suggesting that Subaru may present an all-wheel drive version of the coupe project, the Japanese carmaker is keeping the rear-wheel drive setup, at least for now. Not surprisingly, the Subaru coupe will be powered by a boxer engine, possibly the same four-cylinder unit lent to Toyota for the FT-86. Subaru did not release any photos nor any additional information on the Coupe concept model.